We all remember when the wall between editorial and technology began tumbling down a few years ago: Developers were suddenly “allowed” into the newsroom, storytelling started to become a collaborative effort, and initiatives like Hacks/Hackers brought the formerly divided worlds closer together. Well, guess what: There’s another wall that needs to fall, and 2017 will be the year when we will start to tear it down — the one between editorial and marketing. Every media organization that’s not operating based purely on reach and advertising wants to sell products to its users. It’s the ultimate goal, because many of us know advertising alone won’t sustain our journalism. Until recently, most media outlets basically hoped that visitors would somehow magically convert to paying subscribers when they bumped into a paywall. Sales funnel? Conversion strategies? Retention rates? These words weren’t part of the digital news industry vocabulary for a long time. But the reality is a user’s first click creates very little value per se, besides creating an ad impression. The second click is when it starts to become interesting: A user that we attracted wants to get more of our content, our service. He stays longer, registers for our newsletter, takes part in a survey, signs up for an event: Now we’re talking. We’ve managed to engage a potential customer and make him identifiable. From now on, we can address him with specific and personalized offers and content. Which leads, finally, to the ultimate proof of engagement: Our user buys a product we sell. We managed to create a lead and convert this lead into a paying subscriber. What’s unique and powerful in media is that we own the digital sales funnel. Our websites, apps, newsletters, and e-papers are the product, but they are in a sense the marketing machine as well. Once you see it this way, it’s obvious why we need to get our journalists, our marketing people, our social media teams, and our engagement editors at the same table. Our content sells our products, so the people who are in charge of sales need to be close to the content creators. Diverse teams on the intersection of technology, marketing, product, and journalism will help make our paywalls and digital subscription models effective. Several subscription-oriented news organizations are already deep into experimenting with the effectiveness of specific content to drive conversion. The Wall Street Journal recently identified that more than half of its subscription sales now come from individual story pages. The New York Times and the Financial Times have started to work with propensity modeling, a statistical method to predict user behavior, to drive their conversion rate. Different groups of users are engaged by different kinds of content, and they react to different kinds of offers. Our task is to identify what a specific user likes about us, deliver it to him, and offer him a subscription targeted to his needs. If you think about it, it’s actually pretty neat: We can use and customize our core product to drive our sales. 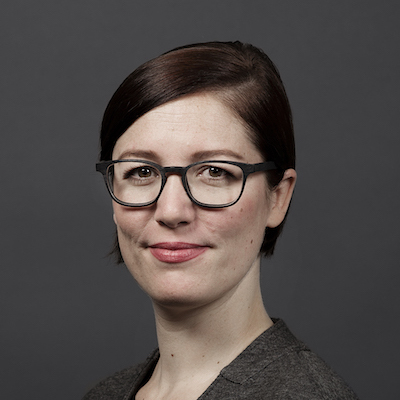 Anita Zielina is chief product officer for NZZ Media Group in Zurich. Dec. 12, 2016, 9:58 a.m.